A while back I bought a couple bowling balls with bags at good will for $1 each. 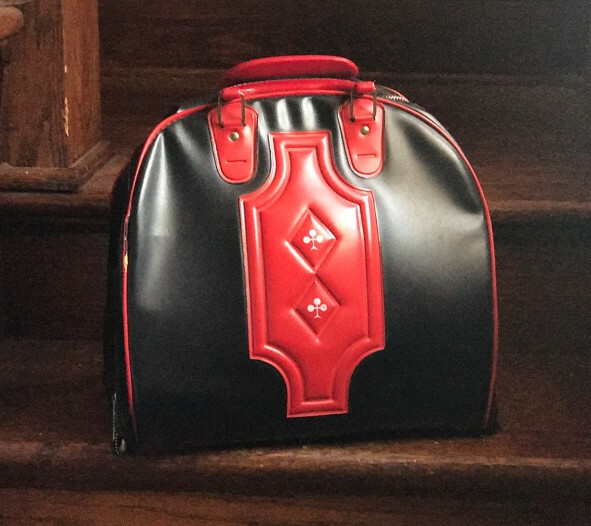 I wanted the bags, I mean check out this sweet retro bag! So I had a couple pretty beat up bowling balls that I didn't know what to do with. I looking into having them resurfaced and re-drilled but the price was too high for balls of such age. 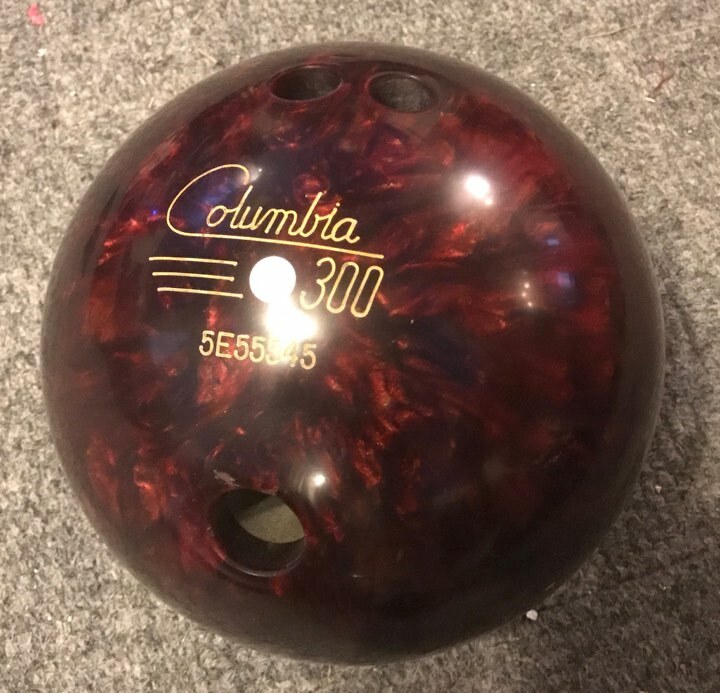 Going by serial numbers I determined that the dark red Columbia 300 White Dot is from '85 and the Brunswick Manta is likely from '78. I did some research and decided to have my hand at resurfacing them myself. I started with the WD which was the prettier of the two balls but also the one with the most damage. I sanded the ball down to 80 grit and found the dings that were too deep for sand out. I then, stupidly, moved to 240 grit and then 400 grit. I should have waited until after the next step. Below you can see the ball with a mix of epoxy, red and black spray paint (held from running by blue sticky tack). After the epoxy fully cured (about 36 hours-- I think the spray paint slowed it down as it was only supposed to take 24 hours) I sanded the excess off and then stripped the ball back down to 80 grit and moved up the ladder to 240 and then 400. I then progressed through the following grits in a quality wet sandpaper -- 800, 1500, and finally 3000. Finally I hit the ball with some Weiman silver polish. I think it turned out pretty good for my first attempt. This is a 14 pound ball that will probably go to my oldest daughter. 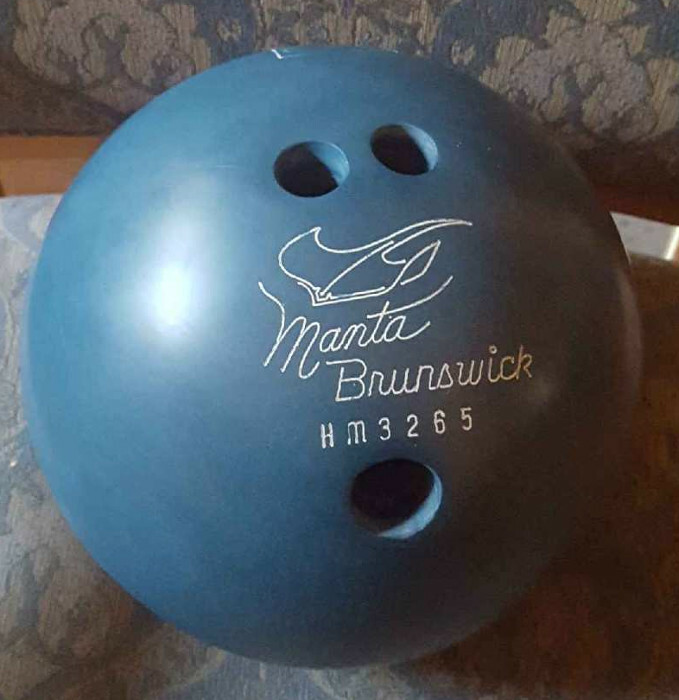 Next was the ball the old lady wanted-- the Manta (13 lbs). I drilled the holes out a bit to match her grip better. This is a rubber ball from the late '70s and sanded much quicker than the WD, but made a big blue mess! I got all the defects out but was a bit harder on the Brunswick B than expected. I drew a couple missing bits back on with a pencil and then ran the engraver over it to clean it up some with decent, but not perfect results. I also added the old lady's name in her chosen font. She had me color these in using purple, instead of the white that was on it. The manta logo is still white. (I don't have a post engraver image, sorry). The whole ball got the same sanding process, except I was able to acquire some wet/dry 400 grit sand paper so the sanding went much nicer. 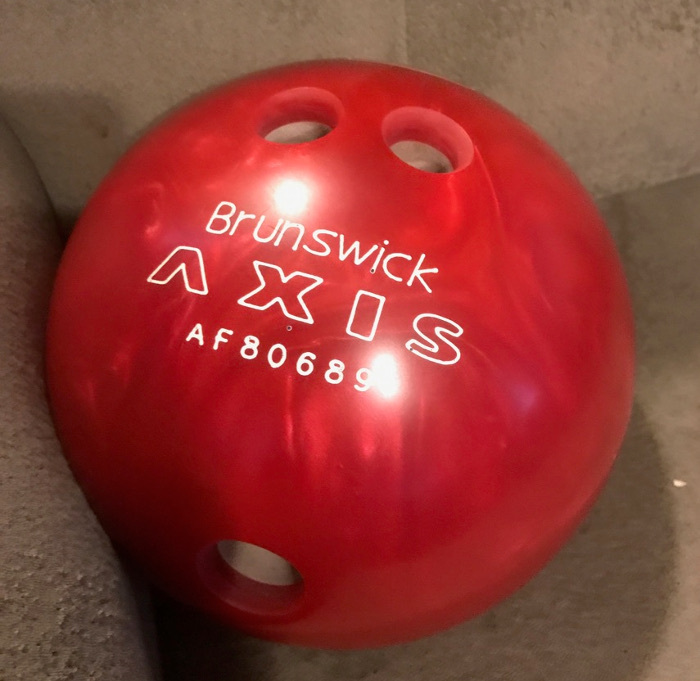 A week ago today I picked up a "newer" Brunswick Axis 16 pound ball from Jan of '92. This one cost me a whopping $3 but actually fit my hand. It was more diamond and less rough, but it still did look much nicer once I finished resurfacing it. There were a few deeper scratches that did not come out completely, but they were nearly as deep as the ones on the WD so I did not bother to epoxy. Well, there you have it. 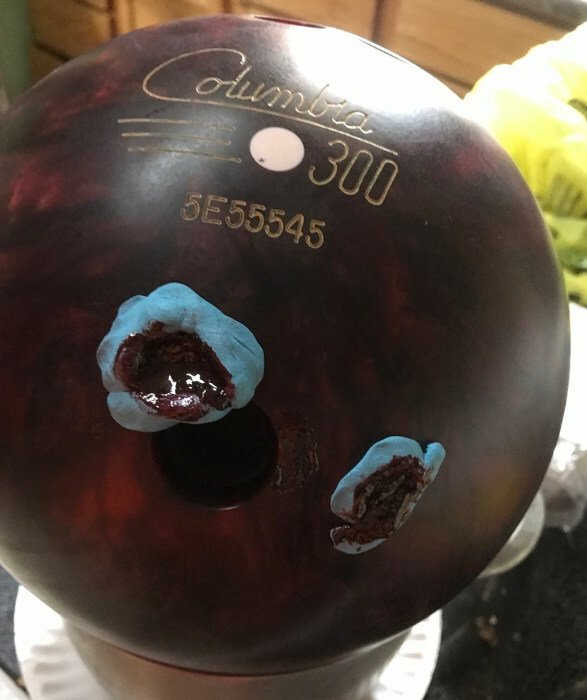 I resurfaced three balls with what I feel are pretty decent results. The biggest transformation was the WD, but I am most happy with how the Axis turned out and am really looking forward to trying it out on Tuesday! what kind of epoxy do you use? Just two part like you buy at any hardware. I think it was loc-tite brand. thank you for the info and thank you for posting this article.